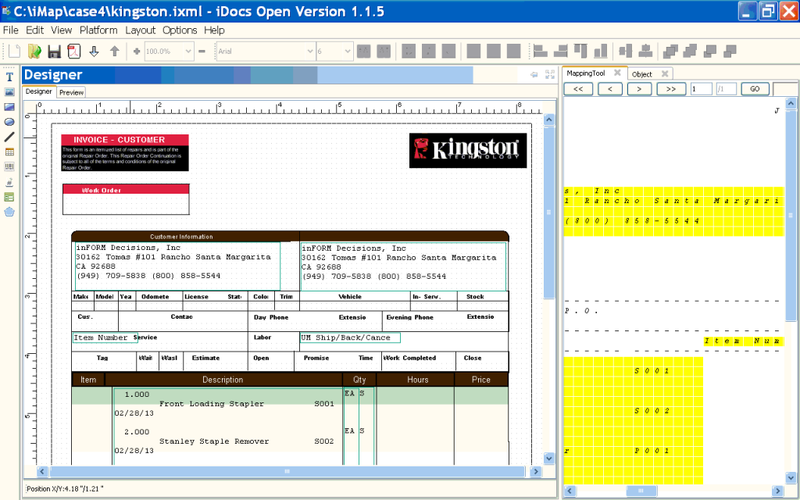 iMap will work with a GUI (Graphical User Interface) mapping tool to map data from a print or spool file onto the designed form, which will store this information for ongoing form-data merge operations (see iDocs). Print files or IBM spool files can be downloaded into the right pane to be dragged and dropped into appropriate locations on the form. Multiple properties can be applied to the mapped data, including fonts, routing conditions, colors, burst and sort conditions, object and signature merges and more.